Another Sunday morning ride! 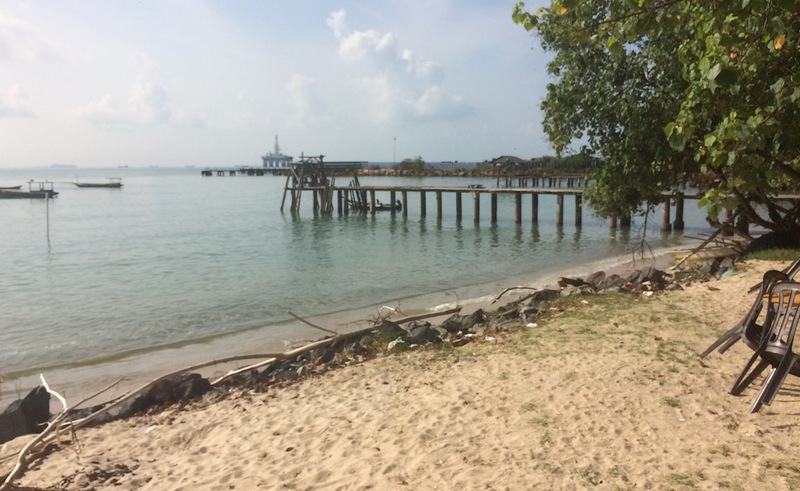 This time, we headed to Sg Rengit – near Desaru. Thankfully, the weather was beautiful! As usual, we rendezvous 7am at B-Point, JB, for a light breakfast before the ride. Okay, 1 down – 3 to go. …which was a good thing actually. Thing is, I just recalled the night before that I have got to be back home by 12pm to run an errand. So with just 2 bikes, it should make quicker traveling. 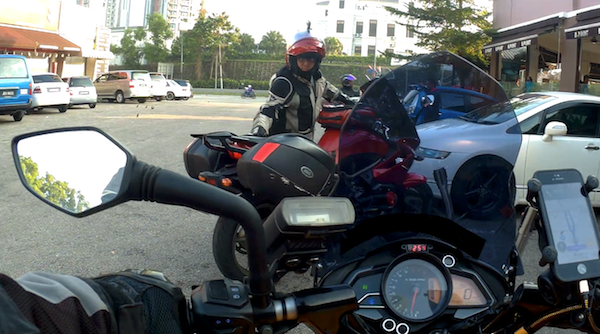 And since Sunday Morning Rides are really about the ride and not the destination, we both fired up our Waze apps, and turned OFF “toll roads” and “motorways” settings – which meant taking the smaller roads, aka. maximum riding pleasure! Avoid toll roads. 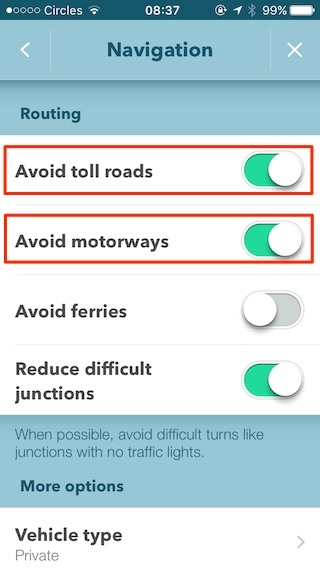 Avoid motorways. 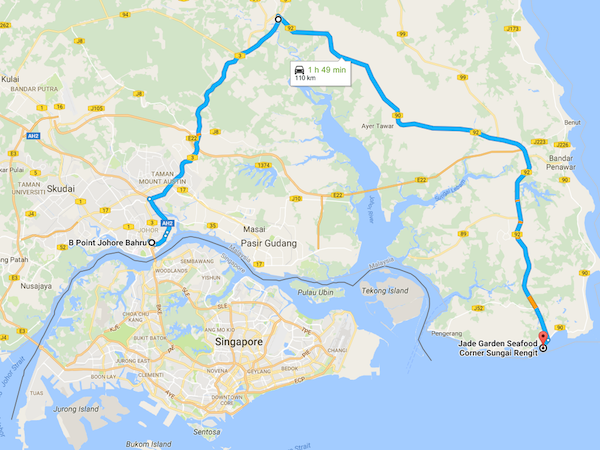 Our (long) route to Sg Rengit. The hour-long ride there was pretty pleasurable. But on the final couple of kilometers there, the roads turned bad and were full of trucks and heavy vehicles. 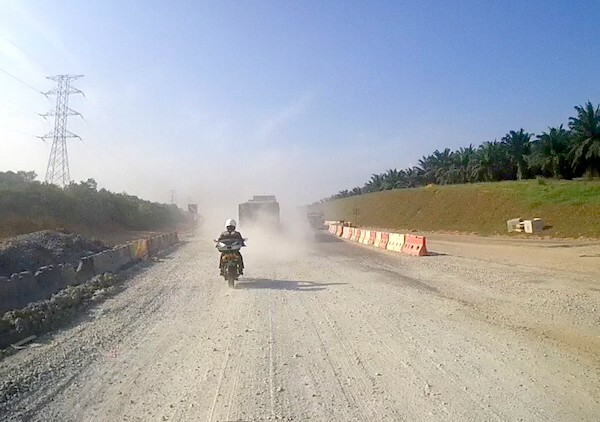 And then, on a stretch of single-carriageway road, and as I was trailing a large truck, looking for an opportunity to overtake it, a large cloud of dust emerged from the rear wheels of the front truck and completely blinded me! And as if it weren’t bad enough, I hit a patch of loose gravel! And because of the dust cloud, I couldn’t see clearly enough to pick my line. I just prayed. Really hard. That I wouldn’t fall. 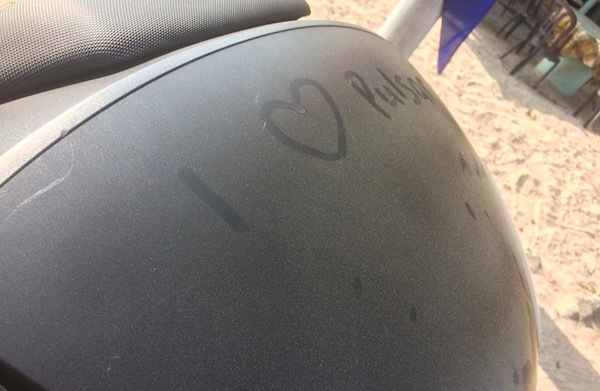 Yeah – it was THAT dusty! The obligatory “We Were There” shot. Turns out, although he woke up late, Sufi managed to catch up with us on his 400X! And after a short rest and some chat, the 3 bikes rode back together towards JB, where I left them and rushed back to Singapore. Another awesome Sunday Morning Ride! Wanna say thanks to u.. 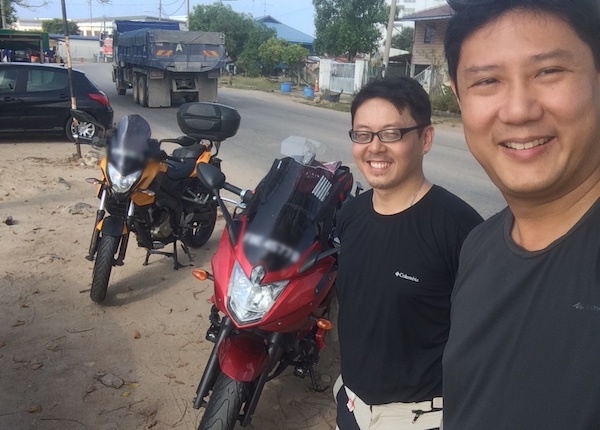 I used the info in ur blog for my solo ride to Laos.. Just came back 2 weeks ago.. It was an experience!! Ride safe.. Enjoy the ride..
Yeah – we ALL had a great ride!